If hats are typical for boys, headbands are for girls. As soon as they were born, they were already introduced to hairbands that have garter and cute designs on them. When they are in a hurry to get to the school bus and have no time to curl their locks, putting on a headband – not gartered – is enough. It’s pink. Most women, regardless of their whereabouts, have a special space in their hearts for anything pink. Thus, they will love this gift with purchase. It’s for all ages. For the young, it makes them look adorable. For the mature, it shows their softer side which may not always be present when they are working hard. 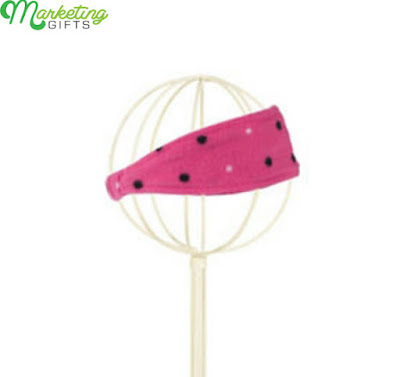 Promotional ideas for all ages are noteworthy, since it means for BFFs or siblings or mothers and daughters that they can wear matching accessories. It’s durable. The fleece fabric used for the customized headband is more durable than perhaps all the other materials out there. Plastic breaks; metal hurts the scalp; and garters are suitable for babies only. This fleece, on the one hand, does not tear and easily washable without losing its color. Don’t be shy – you know you want to understand various ways to promote your brand. Look for them in the MarketingGifts blog now.